One of the most recognizeable names in jazz since the '70s, Pat Metheny has worked with a plethora "who's who" of jazz greats, in the process becoming one himself. 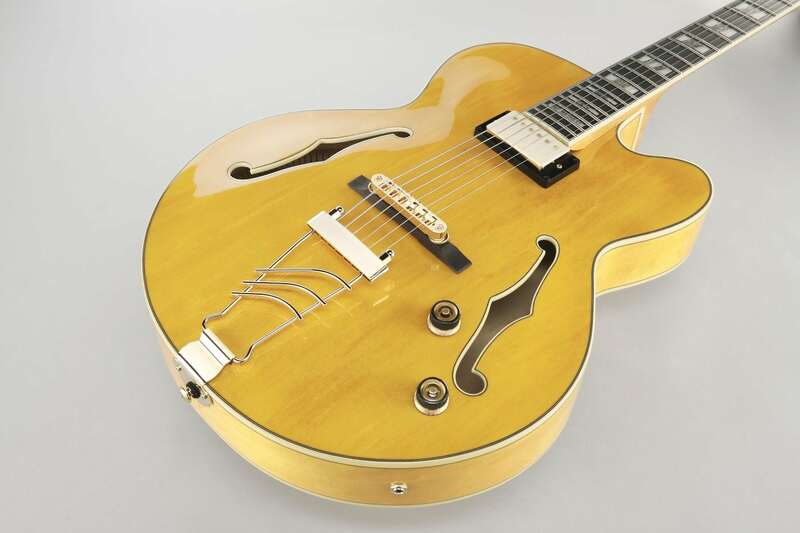 Ibanez has collaborated with the wild-haired fret wizard to create the beautiful PM Pat Metheny Signature Hollowbody Antique Amber Electric Guitar. It features a PM mahogany set-in neck with maple top, back, and sides, plus a bound ebony fretboard to give you smooth, sweet tones. 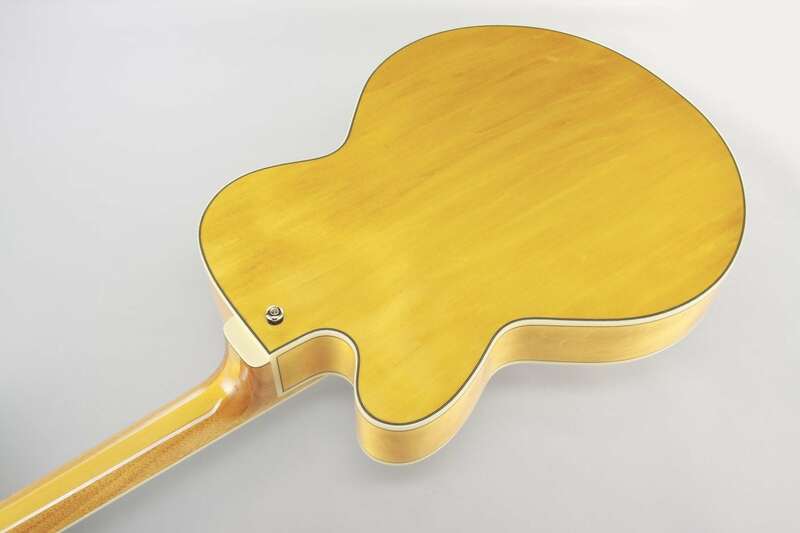 Aesthetically, the gold hardware, pearl and abalone inlays, f-holes and stylish KT30 tailpiece pair beautifully with the antique amber woodgrain and curves of the top for a truly classy instument. Other accoutrements include an ART-1 bridge, Silent 58 (H) neck pickup, and Volume and Tone controls. Includes a hardshell case.